$10 for up to 3 days. Features a 66-channel GPS, flexible blade antenna, and continuous strobe. ResQlink: 3.9 x 1.9 x 1.3′, weighs 4.6 oz. Three levels of integrated signal technology – GPS positioning, a powerful 406 MHz signal, and 121.5 MHz homing capability – the ResQLink quickly and accurately relays your position to a worldwide network of search and rescue satellites. 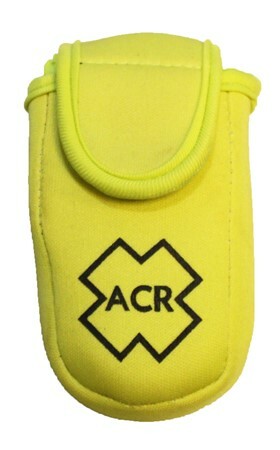 A built-in strobe light provides visibility during night rescues. Even in extreme conditions and situations, the ResQLink activates easily. Just deploy the antenna and press the ON button. 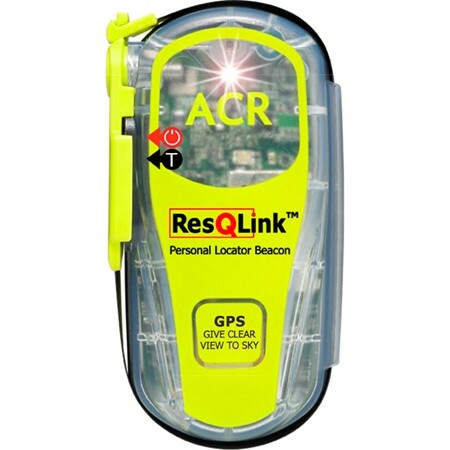 With its powerful 66-channel GPS, the ResQLink guides rescuers to within 100 meters or less of your position. 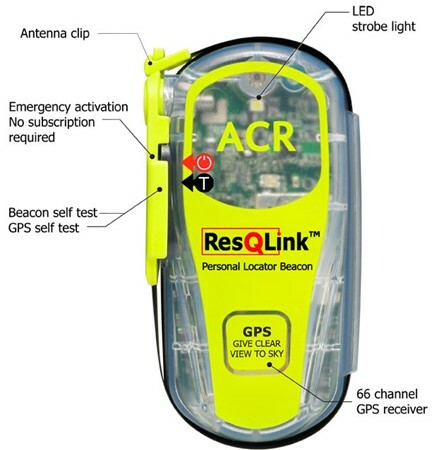 And, in the continental U.S., search and rescue personnel are typically alerted of your position in as little as five minutes with a GPS-enabled PLB such as the ResQLink . Around the time we ship, you will receive an email requesting certain information – name of PLB user, emergency contacts, trip info, etc.